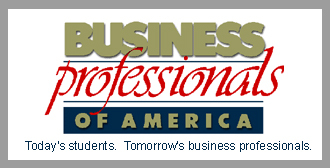 Business Professionals of America has a history as a student organization that contributes to the preparation of a world-class workforce through the advancement of leadership, citizenship, academic, and technological skills for students at the secondary and the post-secondary level. Members of Business Professionals of America compete in demonstrations of their business and technical skills, develop their professional and leadership skills, network with members and professionals across the nation, and get involved in the betterment of their community through good work projects. DECA offers the New York City Marketing Mini Conference that allows students to study the fashion industry or sports and entertainment marketing. Leadership conferences are held each fall in places like Milwaukee, Wisconsin; Grand Rapids, Michigan; and Minneapolis, Minnesota. Students following a business career path may participate in Delta Skill Day. There are 15 competitive events: Accounting I, Accounting II, Business English, Business Law, Business Math, Computer Programming, Desktop Publishing, Document Processing, General Business, Interior Design, Internet Scavenger Hunt, Merchandise Display, PowerPoint, Sales Representative, Spelling, and Web Page Design. Students from all over Mid-Michigan compete against each other in the above events. There are four winners in each event, and a school trophy given to the school with the most winners. There is also a scholarship opportunity for skill day participants. Students wishing to compete for a scholarship must submit a written application, interview with a business division representative at Delta College, and compete in skill day events. Scholarship points are awarded for participation in events and placing in events. This scholarship is to be used at Delta College. 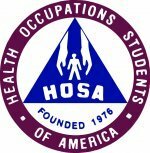 HOSA is a national organization for secondary and post-secondary/collegiate career and technical education students enrolled in Health Occupations Education (and pre-technical health occupations) programs. The activities of HOSA are in integral part of the instructional program that provides occupational skills as well as leadership skills. HOSA was officially formed in November 1976, and comprises state associations organized under the auspices of the appropriate state education agency or other approved institutions. Local HOSA chapters provide programs and activities to help individuals develop their physical, mental and social well-being. Members strengthen their leadership and citizenship abilities through interaction with professional, business, and other student organizations. HOSA members have the opportunity to share experiences with other people involved in health occupations. Members build confidence in their own ability to develop skills that will lead to successful employment in the field of health. A student enrolled in any Health Occupations Education program (for example, Dental Assisting, Medical Assisting, Medical Laboratory Assisting, Practical Nursing, and others) at any high school or postsecondary/collegiate institution across the country has the opportunity to join with other students and form a local HOSA chapter under the supervision of the classroom instructor, who also serves as the HOSA chapter advisor. These students and the advisor submit the Chapter Affiliation Application forms and fees to HOSA. Upon receipt of membership cards, the chapter is affiliated with the Health Occupations Students of America as a chartered chapter. The chapter is also responsible for affiliating with the state association as directed by the state advisor. HOSA members are involved in community-oriented, career-related, and leadership development activities. Students from all local chapters attend regional and statewide conferences for leadership training and chapter management workshops and participate in HOSA competitive events that test and recognize students' competencies and related skills in their chosen health occupation. All affiliated state associations conduct state leadership conferences and send as many members as possible and state competitive event finalists (three) in each of the approximately 50 competitive events to the annual HOSA National Leadership Conference in June. For more information visit www.hosa.org. The purpose of MITES (Michigan Industrial and Technology Education Society) is to encourage and recognize fine craftsmanship in the field of industry, technology, and career and technical education in the state of Michigan. The awards program is aimed at stimulating the interest and progress of K-12 students and instructors by inviting students to enter their projects in the regional fairs and encourage technology instructors to support MITES by becoming a member. Participants that place from first to fourth in the regional fairs may then participate in the statewide competition held during the annual MITES convention. SkillsUSA-VICA provides local, state, and national competitions in which students demonstrate their occupational and leadership skills. These contests recognize the achievements of career and technical education students and encourage them to strive for excellence and pride in their chosen fields. The National SkillsUSA Championships event is held annually. More than 3,800 students compete in 66 occupational and leadership skill areas. Working against the clock and each other, the participants prove their expertise in skills such as electronics, technical drafting, precision machining, medical assisting, and culinary arts. There are also competitions in leadership skills, such as extemporaneous speaking and conducting meetings by parliamentary procedure. Technical committees made up of representatives of labor and management plan the contests. Local representatives of education and industry assist the national technical committee. Safety practices and procedures are judged and graded. Students benefit from the competition no matter how they place in the finals. They learn more about their skills and often make future job contacts.